Your iPhone needs to be in sync with your Mac and iPad so that you always have a same library of photos, videos, documents, contacts and much more on the go. With one click on the iCloud drive on your iPhone, you can very well access all the important files, music & videos. But, has this thought ever crossed your mind that your iPhone is always in the most vulnerable position to accidental damages being always in your hand or pocket. And although Apple Care might provide a physical cover and iCloud might bring back some files, what about the locally stored data? Enter DearMob iPhone Manager, it not only prove to be a perfect replacement for the hideous iTunes sync process but will also be an absolute mirror backup of your iPhone plus some add-on features. 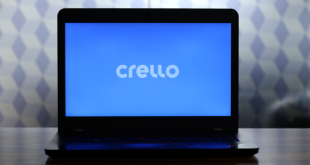 It offers features like data encryption and backup & restores in addition to the basic content management. It makes it very easy to encrypt your local data with a secure password and provide easy backup & restore options as well. 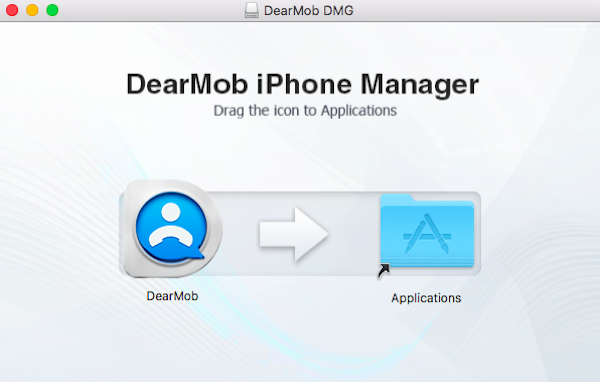 To get started to install DearMob iPhone Manager from the official website. There is a free trial available for both Mac and Windows so that you can try the software before buying it. The app is normally available for $59.95 for 1 year. But as of writing this post, you can get a 30% discount by using this special link (effective price $39.95). 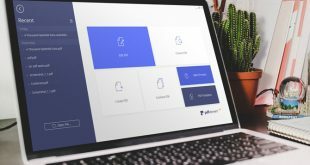 The installation process is pretty simple, just download the setup file and install it on your computer like you install any other software. We tested the app on a MacBook Air running macOS High Sierra version 10.13.4 (17E199) and iPhone 6 and SE running iOS 11.41. Once installed, DearMob iPhone Manager can be understood in three heads, Content Management, Encryption and Backup & Restore. Let’s see what each of these services have to offer. Once you connect your iPhone to your Mac via DearMob, you’ll see all your photos get synced to the software and are visible under the Photos icon on the dashboard of the application on your Mac. The good part here is that you’ll see all your photos in an exactly same manner as your iPhone. You can see all the albums on the left as they are on your iPhone. The application, as the name suggests, will also let you manage your photos. 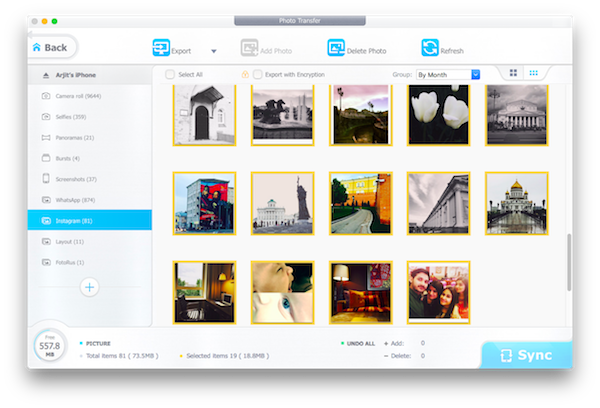 You can add/delete pictures, add/delete albums and also export photos to your Mac. The photos you export to your Mac can also be exported with password-protected encryption. The best part of the application comes in when you add photos to your iPhone from your Mac. 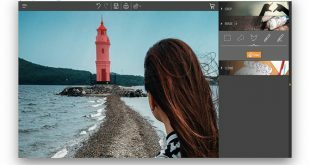 DearMob will automatically convert the picture files into the best-supported format for your iPhone so you don’t have to worry about the file size and formats etc. 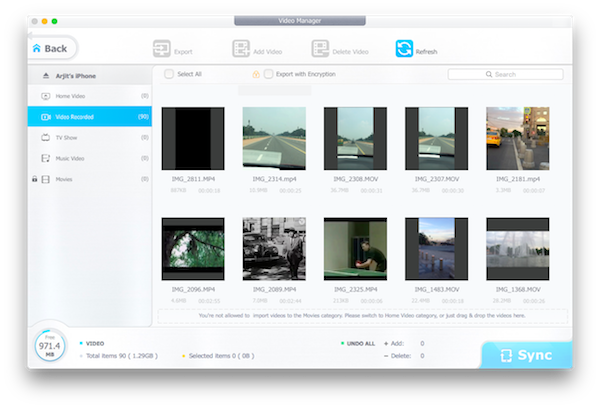 Also, DearMob has a high rate of transfer with around a thousand 4K pictures in less than 2 minutes which makes the management easier. Similar functions go for the videos except for the part that there are no album creations but rest assured, the transfer and management are smooth and easy. Just like Photos and Videos, once you connect your iPhone to DearMob, you’ll see all your music listed in the exact same manner as on your iPhone. You can see the songs, albums, playlists etc synced with your DearMob application on the Mac in no time. DearMob lets you add/delete songs, edit song information like name/artist/year etc, create new albums, create new playlists and much more. All this will reflect on your iPhone in no time. The application will also turn off iTunes auto sync for you so that you don’t lose your data. Again, the best part of DearMob kicks in when you upload music to your iPhone from your Mac. It automatically converts the music files into the best-supported formats for your iPhone so you don’t have to worry about it. This makes it so much easier if you want to upload the music downloaded from third party sources. In addition, DearMob has another distinct feature to offer. You can create ringtones of your own from the songs that you have on the device. The application gives you the option to crop and save the music and save it as a ringtone. DearMob not only lets you sync the documents and books like other content management features but has additional features to make your content device friendly. Here is how it works. While on the books tab in the DearMob application on your Mac, you’ll be able to see all your ebooks, epub, pdf, and audiobooks. You can add/delete all of these through the one-touch functions on the same page like export, add/delete etc. Here, you’ll see an additional option for epub which is and e-publish of a book. You can very easily and with one click export the epub onto your Mac in PDF, TEXT or HTML format. Yes, the DearMob application also provides a conversion for books, an unusual feature for a file manager. The same goes for your files as well, you can very well export or add/delete your files like .docx, pages, keynote, powerpoint etc. in addition you can change the file details like names etc, in the application itself. DearMob syncs all your contacts into the application in the exact same manner as they are present on your iPhone. Once synced, which by the way takes less than 30 secs, you can manage your contacts through some one-touch options under the Contacts tab. You can export your contacts in different formats like PDF, VCF, CSV, TXT, HTML and XML. If you’re thinking why these formats are of help, well, different devices and platforms require different formats of contact backups. From VCF being the most common amongst the mobile devices to XML which can be used to upload contacts in one of your emails through an excel sheet and hence making a universal backup for your mobile devices whenever you log in with the same email address. In addition to the export function, you can also edit the contacts or even delete or add new contacts in the DearMob application itself and it’ll all be saved in your devices automatically, which makes the job easier to an extent given the fact that the hideous typing of address and email ID’s can be avoided on the phone. Apart from all this, if you’ve added a contact while your phone was not connected to your Mac, you can simply use the sync feature to update the list on the phone and similarly the merge contact feature to update an edited contact. One of the best parts of DearMob is that it lets you manage your applications on your iPhone and not just a simple arrangement and folder making management but an actual management with installation and uninstallation features in addition to editing the files inside the apps folder. The feature that differs this application from other managers is that it lets you move around an applications installation folder which comes in handy if it is a file sharing application installed on your iPhone. You can simply add/delete a document in the applications internal folder and the uploaded file can be easily used by the file sharing app for sharing with other devices. DearMob allows you to uninstall an application which you think is no longer required and once you sync the applications these changes are also saved on your iPhone. The cool factor comes in when it comes to installing an application on your iPhone through DearMob. Yes, you can very well install an application onto your iPhone using DearMob. Simply download or borrow a ‘.ipa’ file on your Mac and install it. For the original applications, an AppleID will be required while for a cracked version of an application or a third party application no AppleID will be required which again adds to the intuitiveness of DearMob. Apart from these major content management features DearMob offers some additional management options that include Calendar management, SMS management, Podcast management and Bookmark management etc. You can edit and make changes to files and entries in each of the tabs. An additional X-factor component comes in when DearMob lets you use your iPhone as a USB device. using the ‘Flash Drive’ tab you can use your iPhone as a simple USB device to transfer data in and out of the phones local memory. Never ever has an application offered this feature for iPhone like the android phones. DearMob iPhone Manager offers a built-in data encryption feature which allows you to password protect photos, videos, and contacts on your iPhone as well as automatically encrypt files you want to take off your iPhone and transfer on to your Mac. The app claims to use military-grade encryption capabilities like 256-bit AES, 1024-bit RSA, PBKDF2, and Argon2 encryption technology. We haven’t tested the encryption level as such but if a paid application worth $60 claims so, may be you’ll just want to put in a little faith in it. For using the feature, you can simply click on the data encryption tab in the dashboard and add files to it. The encryption is so strong that if you forget the password, DearMob has no way to recover it for you and for which it’ll ask you to tick a box with an undertaking while you are adding files to encryption. Similarly, you can go under the data decryption tab to decrypt a previously encrypted file and make it normally accessible again. The encryption feature can also be used indirectly while you transfer any file from your iPhone to your Mac via the export tab. When you export a file and file selection is open, look for a checkbox that says ‘export with encryption‘. It’ll ask you to create a passcode and the file will no longer be visible to anyone without the passcode. This is applicable even to contact files and documents apart from photos and videos. 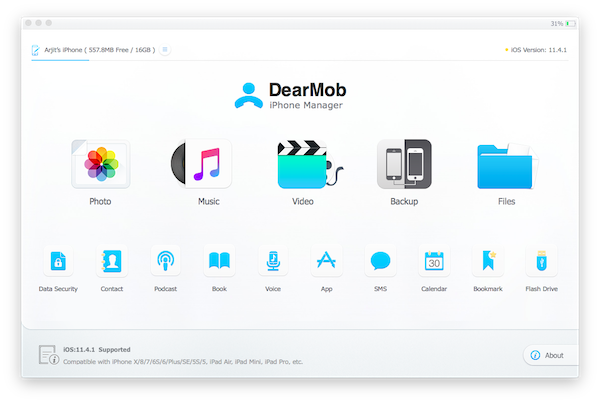 DearMob iPhone Manager allows you to simply backup and restores your iPhone data on to your Mac. For iPhone users who would rather avoid backing up their devices to iCloud via iTunes, the app offers an easy and speedy alternative to what can sometimes be a slow process. The Application allows you to back-up your iPhone in one touch, and when we say one touch we literally mean it. 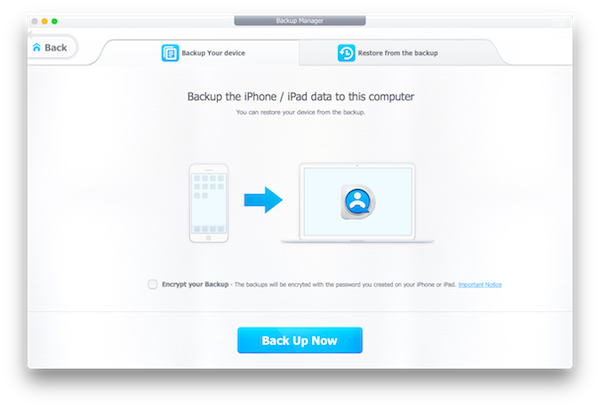 Just click on ‘create back-up’ under the Backup tab on the dash and you will have a complete backup of your iPhone in no time. The X factor here again is the encryption option. Simply tick on the checkbox while creating a backup file and your backup file will be password protected. DearMob offers two kinds of backup options. You may back up the whole iPhone at once or you can back up the application specific data while surfing through the applications. You may alternatively even choose a specific file form an application folder to be backed-up. Similarly, to restore a broken or a crashed iPhone, simply go to restore tab on the dashboard and select the backup file to load on to your iPhone. This will bring back your iPhone to the same position as it was before the crash. DearMob iPhone Manager: Is it Worth it? 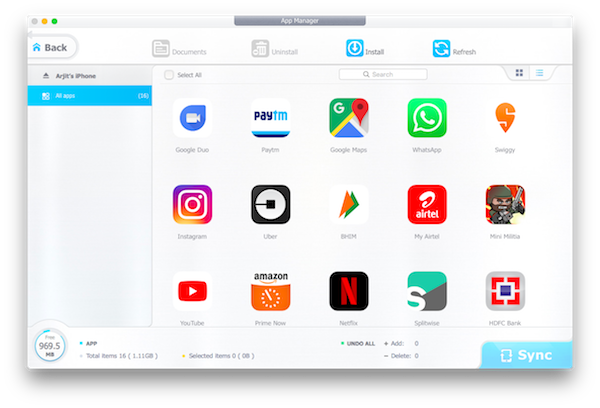 In all, DearMob is a tool that allows you to have full control over the content management between all your Apple devices just like any Android device. Be it password protected files or Backup & Restore options, DearMob will make everything work for you in the manner you like. The feature we liked the most is the file/folder specific password protection which is usually not an option in any Apple device. With this, the security of files in the local memory of Mac has risen enormously. Well then go ahead and try your hands on the DearMob iPhone Manager and let us know your experience in the comment section below.